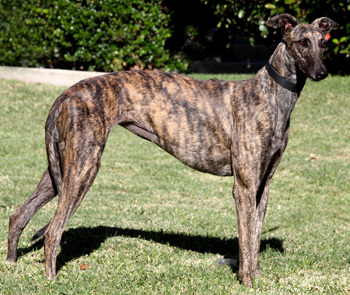 Maggie is a beautiful 3½-year-old brindle female born October 10, 2008. Her sire is Extruding Dream, and her dam is Skymindy, making Maggie and Bobby full siblings. 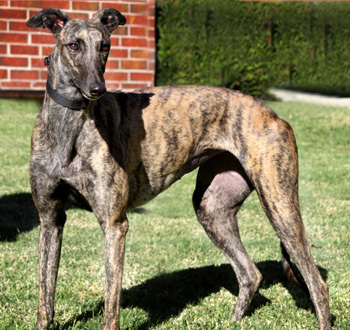 Maggie, like Bobby, was never individually registered and has no races to her credit. Maggie has been in a home for almost two years, but has returned to GALT due to a change in family circumstances and no fault of her own. Maggie is cat tolerant and has not yet been tested with other small animals.